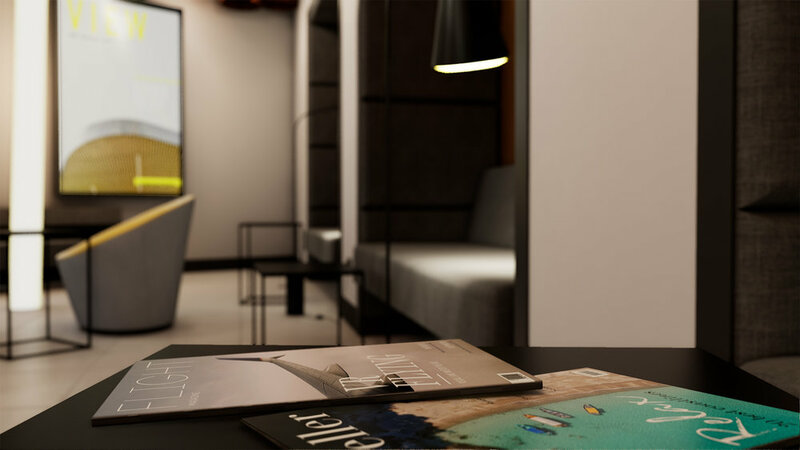 Flight VR was a long term concept created by our founders which finally got the attention it deserved after it was entered into the CGArchitect awards 2018. Flight VR was designed to help ease the fears and phobias of flight travel, from entering the airport, to boarding the aircraft and finally taking off/landing. The project is currently gaining lots of traction in the psychology sector and will soon be undergoing clinical trials in the hope that it will one day be used to help treat the fear of flight travel. We are developing the platform with the support of the Oculus developer program. If we can support/collaborate with you on a project similar to this, we would love to hear about it.